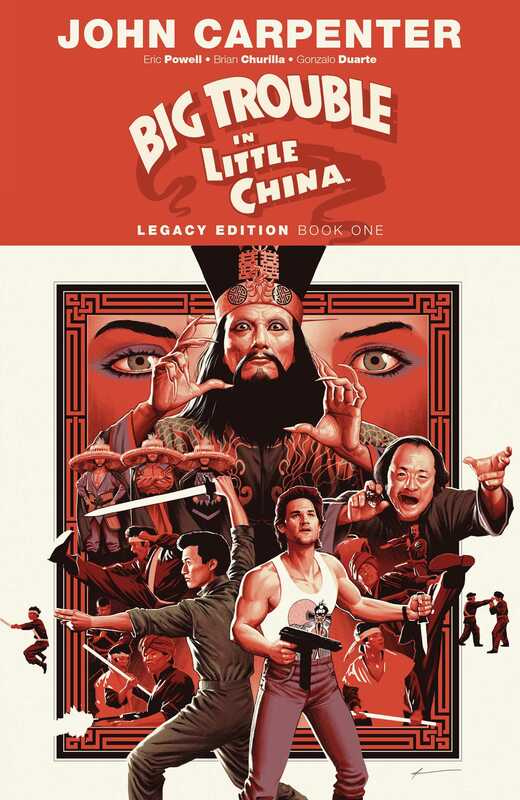 The authorized and in-continuity sequel to the cult hit film Big Trouble in Little China, co-written by its creator, John Carpenter, presented in a new value priced format! Director John Carpenter returns with Eric Powell (The Goon) and artist Brian Churilla (Secret History of D.B. Cooper) in the continuing adventures of Jack Burton, taking place mere moments after the ending to the cult-classic film. Collects Big Trouble In Little China #1-12, previously collected in Big Trouble in Little China Volumes 1-3.